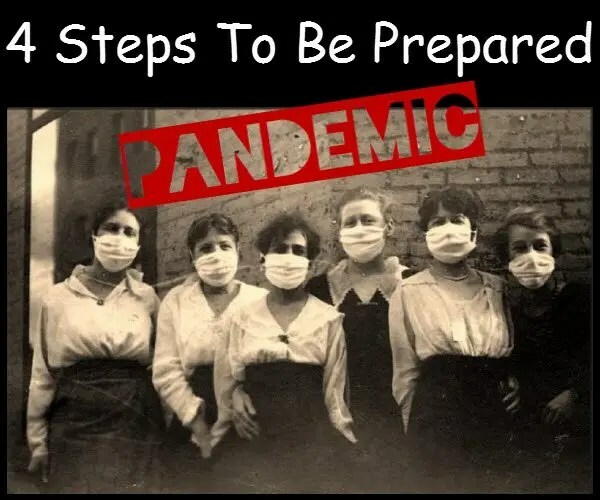 The use of contagious agents like bacteria and viruses to cause the death or incapacitation of a population is called a pandemic biological warfare. Note, any links included in this blog post are non-affiliated with DIY Preparedness and are only included to be helpful to the reader. The way to survive a pandemic is to ISOLATE yourself from people who are infected. Would you be ready to quarantine yourself and your family for up to 1-3 months+ if needed? At the onset, you may not know who is infected until it’s too late. When a pandemic is just starting, most people will be clueless to the ramifications. Everyone will continue to move about their daily routines as usual, going to work, school, and public places. They unknowingly will be exposing themselves to the toxic germs of the pandemic. Most infectious diseases have a time of incubation where signs of the sickness are not prevalent yet in the infected individual. This can leave the person contagious for one to three days before they even show signs of having it. If someone in your family becomes infected, he or she must be isolated to protect the rest of the family from being infected. Any guests entering your home should also be isolated for a time to ensure they are free from the disease. Preferably, a quarantine area should be in a separate building from where you are living; like a garage, empty house, barn, or outbuilding. If that is not an option, try to choose a room in your home that has a window or way to vent to the outside. Shut off or disconnect any duct-work or venting in that room that connects with the rest of the home. You can leave a window cracked in that room, so the flow of the air will come from the other parts of the home and exit through the window. 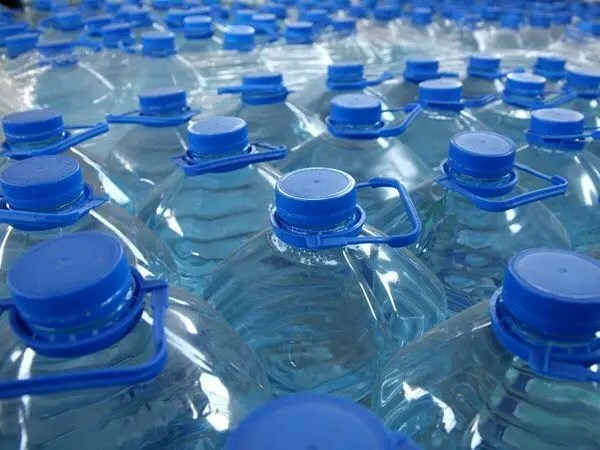 You cannot store too much water. It’s best to store a minimum of 1.5 gallons of water per person per day for 2 weeks, longer if possible. Along with water, include a water purifier. This helps in case the water becomes contaminated, and for an extra safety measure. Two kinds of purifiers we use are Sawyer and Berkey, but you can use whatever works best for you. You can even store equipment needed to distill water. For more information on water storage and purification, read our post here. Ready to Eat Meals. These are meals that you do not need to do anything with, they are ready to open and eat. These include MREs, canned soups, canned ravioli & spaghetti, canned chili, shelf-stable microwave meals, freeze dried fruits, dehydrated fruits, shelf-stable milk, etc. Ready to Make Meals. These are meals that require some time to make or cook, but all the ingredients are there and they’re ready to make. These include just-add-water foods like Freeze dried and/or dehydrated meals. Also, foods like pasta and pasta sauce, canned meats and crackers, 9-can soup, oatmeal packets, dehydrated meals-in-a-jar, home canned soups and vegetables, cold cereal & shelf stable milk, peanut butter & jam, granola, just-add-water pancake mix, etc. Longer Term Food Storage. These are the foods you will eat after you run out of the other two. These foods take more time to prepare into meals, but they store for a long time. They include grains, oats, rice, legumes, beans, macaroni, dry milk, other canned goods, raw honey, sugar, cooking oil (olive oil & coconut oil), popcorn, sea salt, spices, powdered butter, powdered cheese, powdered eggs, etc. You may even want to store some candy that can help be a comfort in the long term. Basic trauma kit to deal with injuries, cuts, burns, etc. It’s imperative that any skin damage or cuts are treated to decrease infection and contamination through the injury. A pandemic today could wipe out or immobilize a considerable portion of our population. Due to the lack of people working, it could cripple our infrastructure and leave the remaining people without services or grocery items for several weeks or months. Being prepared for home isolation should a pandemic occur can help you and your family get through it and also give you peace of mind.